Bring the whole family to Owatonna and experience a unique zoo, water parks, and fun events for all ages! We know that itineraries can be hard to stick to when you have a family, so here are a bunch of ideas to keep your kiddos busy when it works for your schedule! 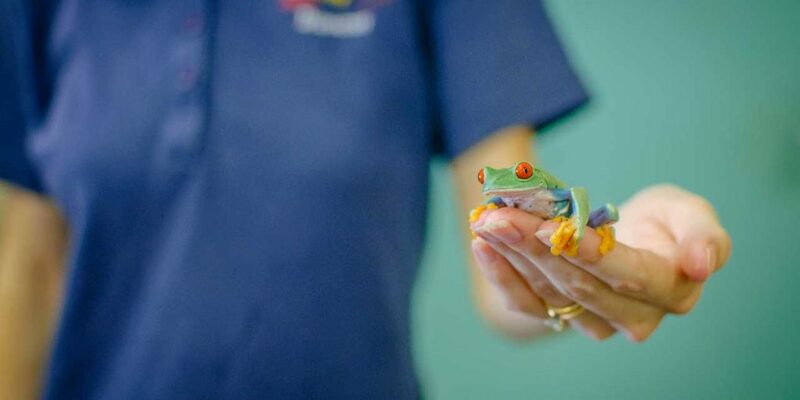 The Reptile and Amphibian Discovery (RAD) Zoo is home to a diverse collection of more than 150 kinds of snakes, turtles, crocodilians, toads, frogs and salamanders from all over the world. Meet Justin Biebers former pet boa constrictor Johnson. Stop in for the daily Everglades Encounters show focusing on the animals of the Florida Swamps, or witness snakes and crocodilians during feeding time on the weekends. From autumn through spring, bring a large group and Camp with the Crocs overnight at the zoo. Get a souvenir photo taken holding a snake or alligator! Spend the day enjoying nature with the kids on a wildflower walk at Rice Lake State Park or learn archery at Cabelas Worlds Foremost Outfitter. Check out the local fish in the Cabelas aquarium and capture a picture with lifelike taxidermy of native and exotic animals. Discover the rich history of Steele County at the Village of Yesteryear and at the Orphanage Museum. Bring the kids over to the River Springs Water Park to float on the lazy river, enjoy the climbing wall, and play on the sand volleyball court. Build a sand castle on the beach and splash around in the swim area at Lake Kohlmier. For year-round fun, enjoy the slides at the Great Serengeti Indoor Water Park. Owatonna is hoppin’ during the Steele County Free Fair in August. Experience deep fried smores, an exotic petting zoo and exciting rides. With no admission fee to the fair, your entire family can stop by each day and see something new! Take in a movie and lounge in heated recliners at Northwoods Cinema 10; watch a movie on a Tuesday for just $5 (all day!). During the summer months, catch an outdoor movie downtown in Central Park (check out our Calendar of Events for date and time). Take the kids to a free family friendly movie at the Owatonna Public Library on the 3rd Monday of the month at 6pm. Check to see what is showing next during the library’s “Movies for All” program on their Facebook page. There are plenty of opportunities to burn off energy around town. Hang out at the Bike and Skate Park, play disc golf at the River Rock Disc Golf Course at Mineral Springs Park, and play mini golf at Waters Edge Miniature Golf Course. Bring the kids bowling at Spare Time Entertainment, and make sure to play laser tag while you’re there! Run around the playground at Fairgrounds Park, a local favorite.